The road across northern Spain to Santiago de Compostela in the northwest was one of the three major Christian pilgrimage routes during the Middle Ages, leading pilgrims to the resting place of the Apostle St. James. Today, the system of trails and roads that made up the old pilgrimage route is the most popular long-distance trail in Europe, winding from the heights of the Pyrenees to the gently rolling fields and woods of Galicia. Hundreds of thousands of modern-day pilgrims, art lovers, historians, and adventurers retrace the road today, traveling through a stunningly varied landscape which contains some of the most extraordinary art and architecture in the western world. For any visitor, the Road to Santiago is a treasure trove of historical sites, rustic Spanish villages, churches and cathedrals, and religious art. To fully appreciate the riches of this unique route, look no further than "The Pilgrimage Road to Santiago," a fascinating step-by-step guide to the cultural history of the Road for pilgrims, hikers, and armchair travelers alike. Organized geographically, the book covers aspects of the terrain, places of interest, history, artistic monuments, and each town and village's historical relationship to the pilgrimage. The authors have led five student treks along the Road, studying the art, architecture, and cultural sites of the pilgrimage road from southern France to Compostela. Their lectures, based on twenty-five years of pilgrimage scholarship and fieldwork, were the starting point for this handbook. 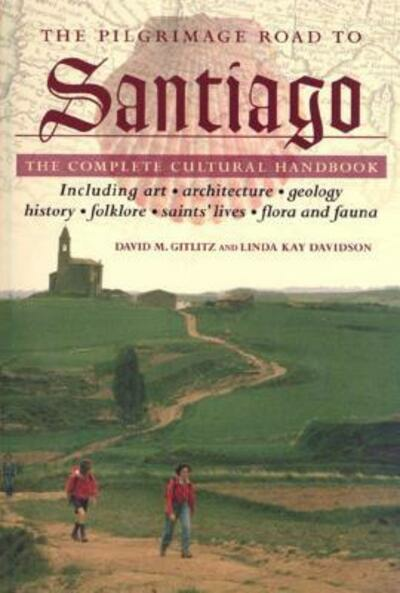 David M. Gitlitz and Linda Kay Davidson, specialists in Hispanic studies at the University of Rhode Island, met on the Road on their first pilgrimage to Santiago in 1974. 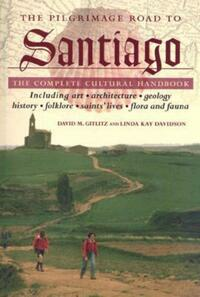 Davidson has written several scholarly works on the pilgrimage to Compostela with co-author Maryjane Dunn. Gitlitz is the author of various books on Hispanic and Sephardic culture, including the prize-winning "Secrecy and Deceit: The Religion of the Crypto-Jews." Their first book written together, also from St. Martin's Press, was "A Drizzle of Honey: The Lives and Recipes of Spain's Secret Jews," for which they won the National Jewish Book Award and the award for Distinguished Scholarship form the International Association of Culinary Professionals.